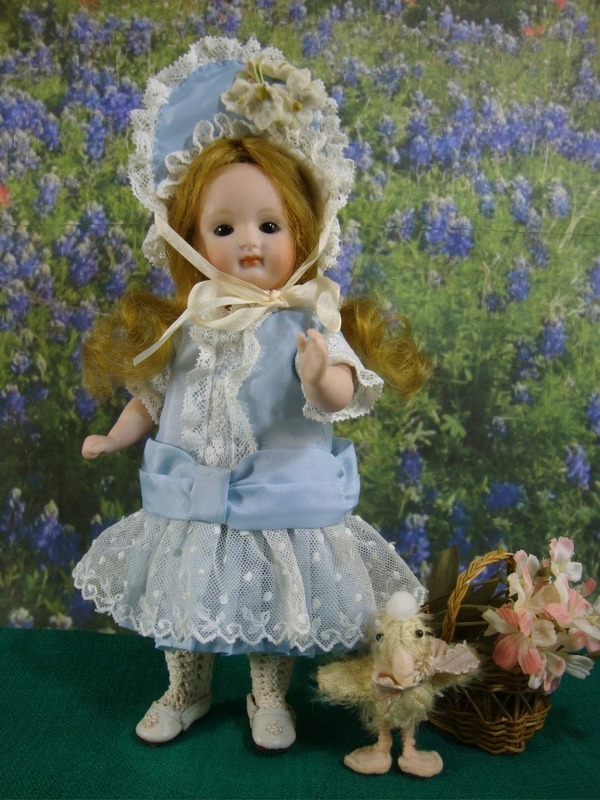 Reproduction Rosette made by Stephanie Ehmen. 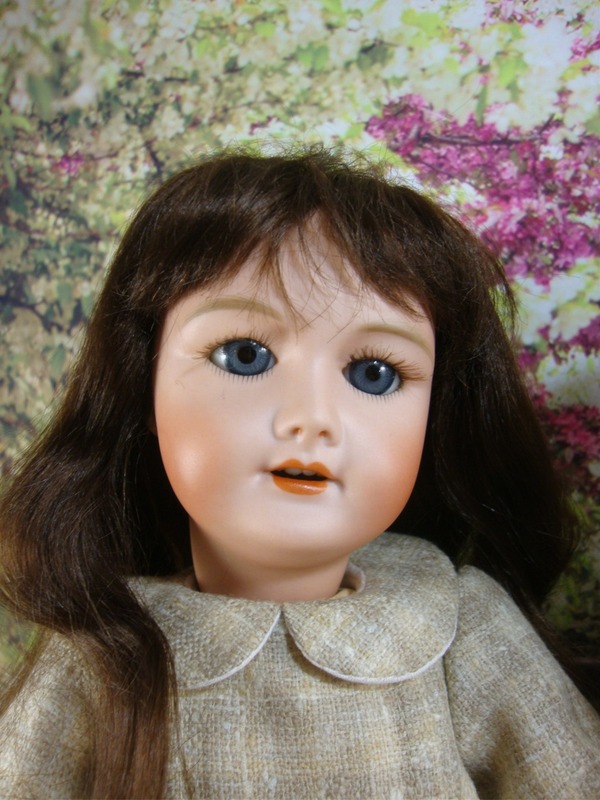 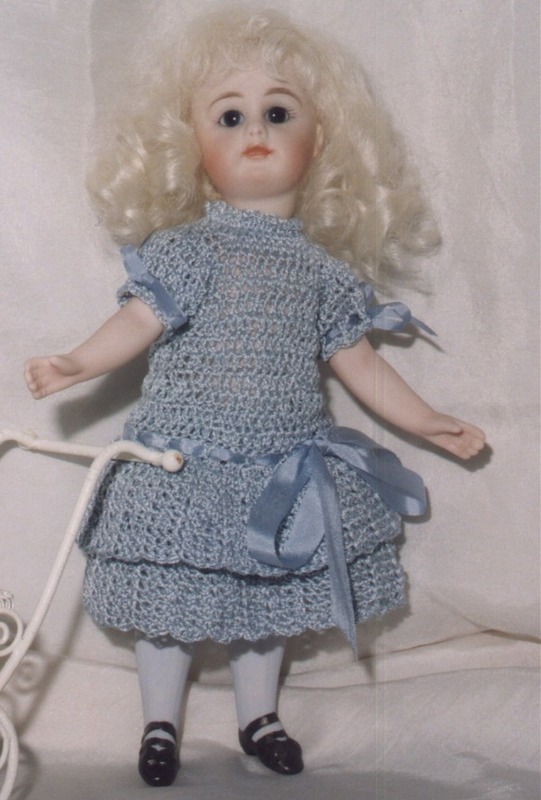 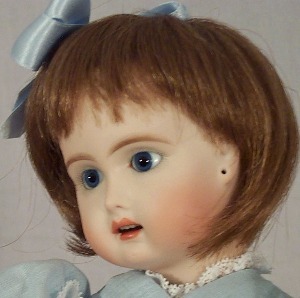 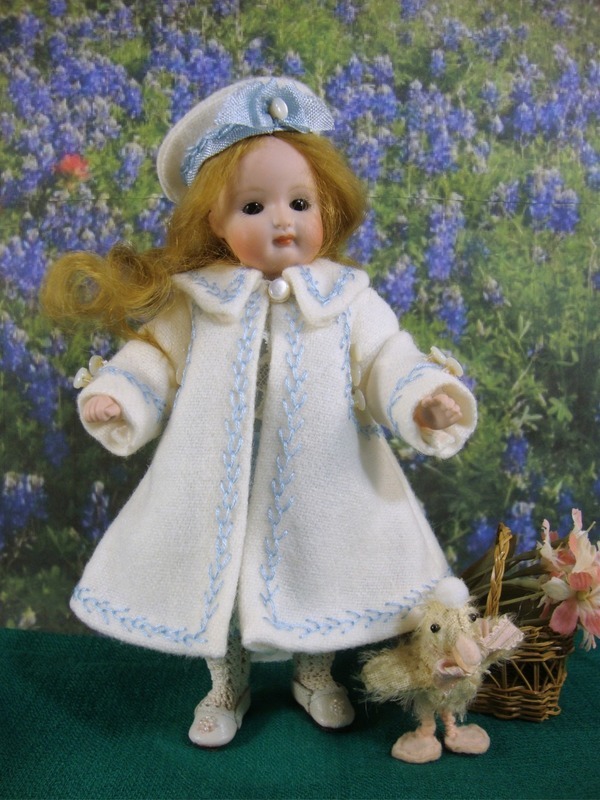 This pretty girl has antique glass eyes and a mohair wig. 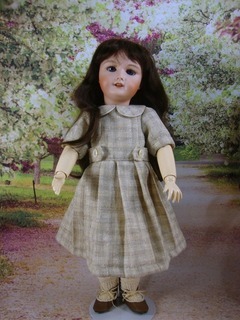 Price includes priority shipping to USA - outside USA please ask for shipping cost.